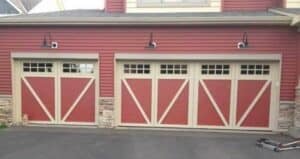 Whether you are looking for a slight twist on a classic design or something truly unique to match your eclectic taste, Overhead Door can help you. Materials, style, pattern, color, windows and trim can all be modified or made just for you to achieve the personalized design you want without sacrificing quality and while staying within your budget. We offer customization for any price range, giving you freedom to express your style through even the smallest of details. Don't get stuck in the misconception that a custom look is way too expensive. Our semi-custom garage doors allow customers to create a unique look without the price tag of a say a real mahogany wood door. We work with you to select and modify only the parts and pieces needed to achieve the look you are after. 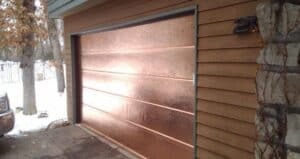 Start with the durability and economical price of a flat steel garage door - add the beauty of a maintenance free wood overlay - and you now have a one of a kind door at a price that looks as great as the door. Deciding on a door style, not to mention choosing from the wide selection of colors, materials and profiles, can be exhausting. Save time and let us do the work for you by giving us a call at (651) 683-0307 for a complimentary design consultation. With a few simple questions, one of our experienced Overhead Door Sales Specialists will be able to customize the door that best fits your home.